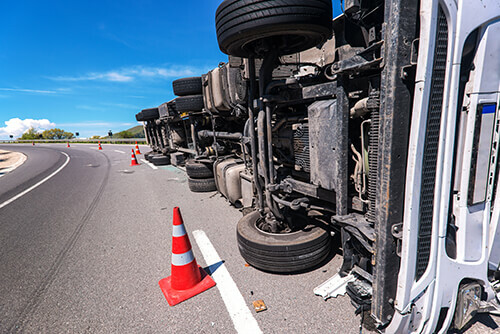 Just like a car accident, when you are involved in a truck accident in Houston, the steps you take right after can impact your ability to collect compensation. For instance, you may not want to talk to the insurance company without an experienced truck accident lawyer since there can be multiple parties responsible for a truck accident. And each of these parties will have their insurance companies working around the clock to delay, minimize, or outright cheat you out of a fair settlement. This is why it’s so essential to have an attorney after these accidents to help guide you the next steps. Take pictures of the scene. If you can’t get photos at the scene, then make sure you take photos of your injuries. Be sure to cooperate fully with all medical and law enforcement personnel, but do not ever admit fault. We cannot stress this enough. The same goes for your conversations with your insurance company, the other drivers, and any witnesses. In all of these conversations you should report the fact that an accident has occurred, and try not to assess where liability should lie.All of these things will be helpful in establishing your truck accident lawsuit, but if you have sustained a serious injury, you may not be able to complete them. If you are injured to such an extent that you cannot do any of these things, an experienced truck accident attorney will be able to recreate the scene to determine what you may be entitled to. If you have been injured or a loved one has been killed in a truck accident in the Houston area, contact de Lachica Law Firm, PLLC, to schedule an initial consultation today.